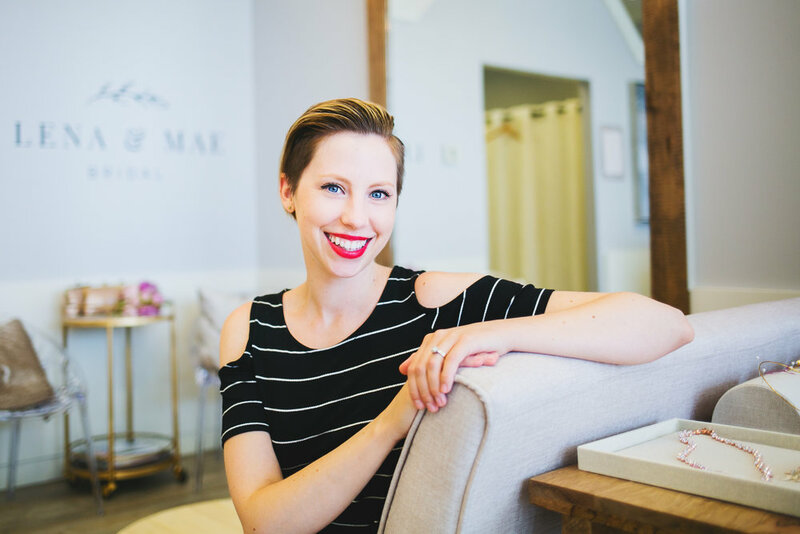 Katie is customer obsessed and works tirelessly to earn your trust by attentively adopting your vision while keeping your best interests at heart throughout your journey. The shop has a peaceful, fun atmosphere, and if you have left the shop without laughing or crying (happy tears, of course), she says she hasn’t done her job! 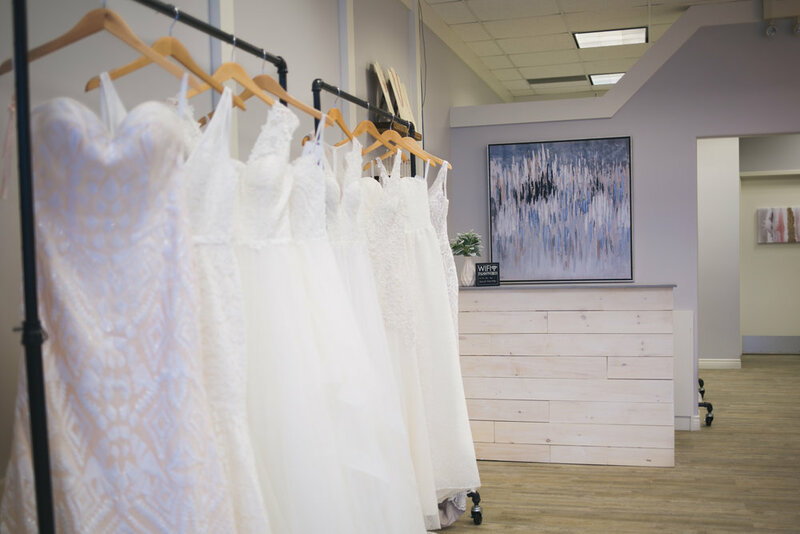 The shop offers a thoughtfully curated selection of bridal gowns for the modern bride and her bridal party, along with several lines of accessories and jewelry to finish off your bridal look. There is a small but gorgeous selection of ever-changing special occasion dresses (perfect for moms, wedding guests, or brides who want to bring sparkle to their rehearsal/reception attire). Their prom section showcases only the most current trends in styles and colours for grads, from Blush and Angela & Alison. They offer two ways to shop, by private appointment or walk-in hours. Private appointments (for brides, bridesmaids, prom, special occasion and bridal accessories) can be booked over the phone, on their website, by email, or through their social media pages. During a private appointment the entire shop is closed for you and your guests, to ensure an uninterrupted shopping experience. 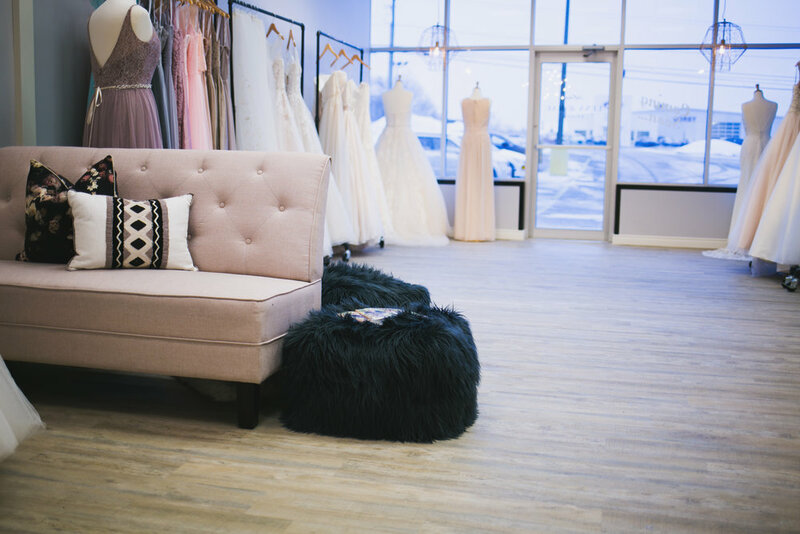 They announce their walk-in hours for the day each morning on Facebook and Instagram - this is a great time to browse their selection of dresses, take advantage of a sale, book an appointment in person, or pick up a gift or gift certificate. Order your bridal dress 8-10 months prior to your wedding. 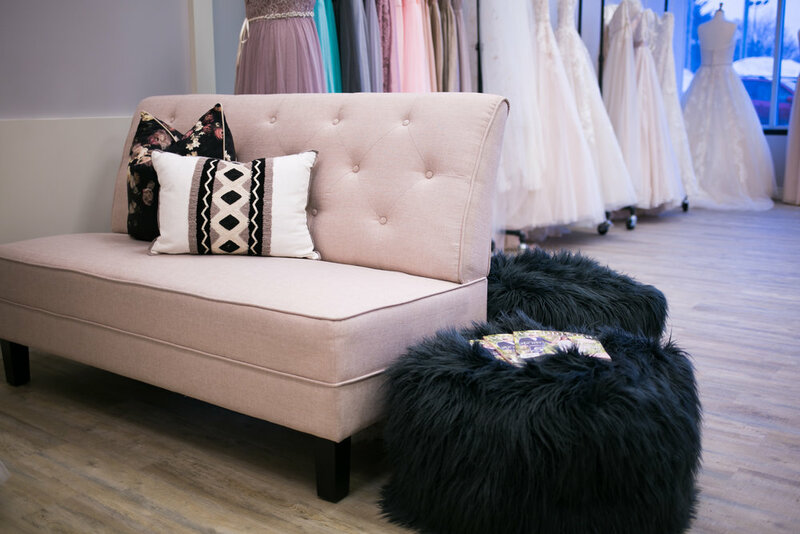 Special order dresses take 4-6 months to arrive, and you will want to reserve a few months for alterations (especially during busy season if you're getting married in the summer). Bridal gowns (and bridesmaid, and prom) are ordered based on a designer's standard size charts, so your dress likely won't fit perfectly when it arrives. 99.99% of gowns require some alterations to ensure a perfect fit to YOUR body. Be sure to consider the added cost of alterations when budgeting for your bridal dress (anywhere from $50 for minor tweaks to $500 for reconstructive surgery). We don't have an in-house seamstress, but we do have a recommended network of highly qualified alterations professionals. They all charge slightly different fees, based on the work that will need to be done to your dress, once they see you in it.